The why: An otherwise mundane photo, but Moon and I tremendously enjoyed that our Magical Express driver's name was Rockland Steel. ROCKLAND STEEL. The why: I was all confused and out of sorts stepping away from my beloved Pop Century, so I grounded myself with a snap of All Star Music's gift shop. The why: I'm walkin' right down the middle of Main Street, USA! It's the heart of America; the heartbeat of a holidAAAAAAY-AY-AY-AY! NO YOU SHUT UP. 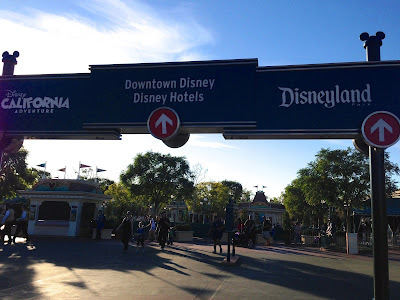 The why: Behold the mighty runDisney expo! IT WILL CRUSH YOU AND NOT EVEN CARE. The why: Blogger rule #1: when you eat food, ALWAYS TAKE A PHOTOGRAPH. Anyway, this is sushi from Morimoto Asia. It was okay.